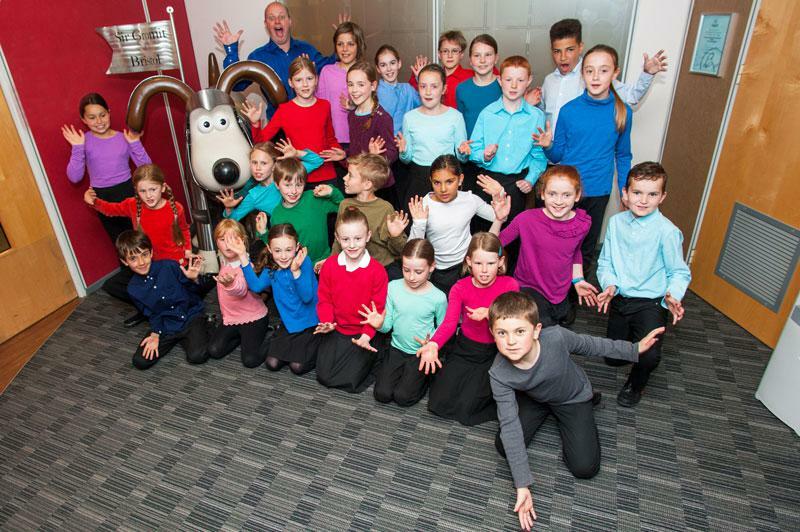 CITY of Bristol Choir is staging a spectacular gala concert in Bristol’s Colston Hall this month to raise money for Wallace & Gromit's Grand Appeal and celebrate the 70th birthday of the world-famous conductor and composer John Rutter CBE. Cambridge-based musician Rutter has accepted the choir’s invitation to come and conduct a choir of over 250 adult and youth singers from around the city in a performance of his 'Mass of the Children' with professional orchestra the Bristol Ensemble on June 27. Singers from two of the city's leading adult choirs, Exultate Singers and City of Bristol Choir, will be performing alongside Bristol Youth Choir and choristers from Westbury-on-Trym Parish Church. Some of the young singers in the Bristol Youth Choir owe their lives to the work of the Bristol Children's Hospital so the fact that they are able to take part in this celebratory concert is both moving and heartwarming – and, as some of their parents might say – miraculous! The concert will also include a performance of Zadok the Priest which is one of the BBC’s Ten Pieces - an exciting new initiative for Key Stage 2 pupils, led by BBC Learning and the BBC Performing Groups, focusing on classical music and creativity. The project was launched in October 2014 and is culminating in the summer of 2015 in performances all over the country. Conductor David Ogden said: “The gala concert is sure to be a fantastic evening. The fact that such an esteemed composer as John Rutter is attending to conduct the choirs in person is a real testament to the talent that we have here in Bristol. Completing the programme is Jonathan Dove's cantata There was a Child, which will be conducted by David Ogden and features international star tenor soloist Toby Spence, soprano Erica Eloff and bass Martin Le Poidevin. The concert is being staged as the centrepiece of a 10-day youth music festival, 'Sounds Inspiring', which is a collaboration between Bristol's music hub, Bristol Plays Music, the Colston Hall and St George's Bristol. A wide range of events is being planned including a BBC Young Musicians Finalists showcase concert at St George's on June 27, singing days involving children from all over Bristol, performances tying in with Bristol's year as European Green Capital in 2015 and plenty more. Tickets for the Summer Gala concert at Colston Hall are on sale now priced from £20 to £40 for adults and £10 for under 18s. Telephone 0844 887 1500, visit www.colstonhall.org or call into the box office at the Colston Hall in person.